I came across this company on the internet and I want feature it as it is for a good cause. The quality looks good but I have not seen their products for myself. “Dorset Enterprises and Escor Toys form Bournemouth Borough Council’s Workshop employing people with disabilities and we are supported by the Council. Dorset Enterprises was founded in 1914 by a Bournemouth Councillor to provide work for injured servicemen returning from the First World War and Escor Toys was founded in 1938 and has been producing Traditional Wooden Toys continuously for the past 69 years. The toys and garden furniture we produce are manufactured to a high standard by our workforce who take pride in the finished product. We only use beech wood from managed forests which also ensures the quality of all our products. Update 28.4.13 – Both Escor Toys and Deckchairs UK are likely to close shortly (and indeed may have already closed) because Bournemouth Council are withdrawing their support. How sad. Further update, both Escor Toys and Deckchairs UK ceased trading on 31st March 2013. 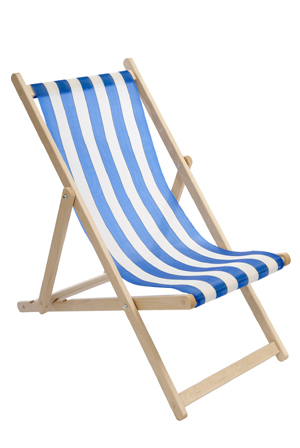 This entry was posted in Deckchairs, Dorset Enterprises (Deckchairs UK), Furniture and Soft Furnishings, Garden Furniture and tagged Deckchair, Deckchairs, Dorset Enterprises (Deckchairs UK), Luggage Stands, Made in England, Tables on November 3, 2012 by ukmade.